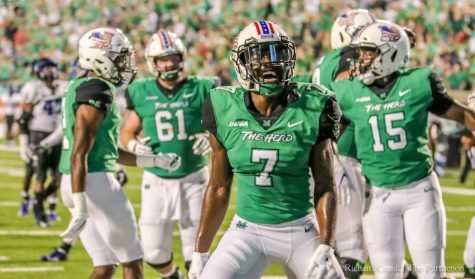 Junior linebacker Juwon Young enters the field at Jerry Richardson Stadium in Charlotte, North Carolina for his first game in a Thundering Herd uniform after serving a suspension for the first four games of the year. 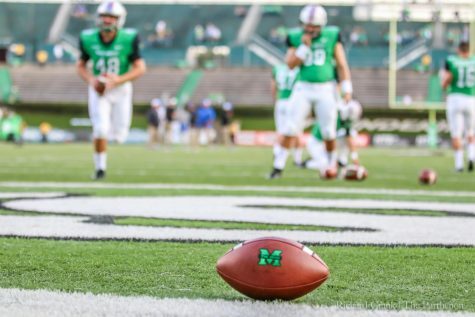 Marshall football gained a key piece of its defense back prior to kick off against the Charlotte 49ers in linebacker Juwon Young, a transfer from Miami (Fla.). Young was suspended for the first four games this season for violating department rules while with the Hurricanes in June 2016. 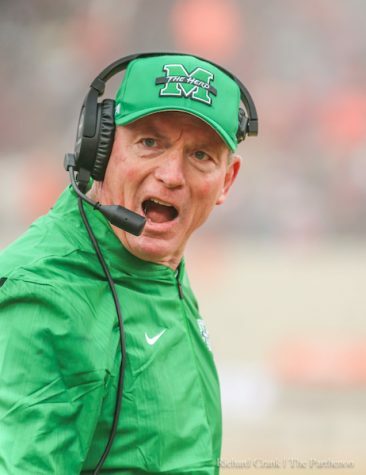 “He’s had no issues here at all, but when he transferred here, that part with Miami carried over,” Herd head coach Doc Holliday said in his preseason press conference in August. 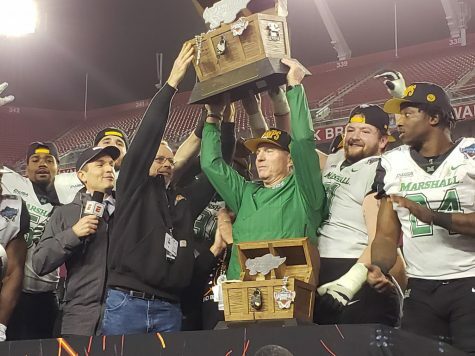 Holliday and the Marshall coaching staff knew what kind of player Young could be thanks to his performance with the Hurricanes in 2015, where he earned the starting job midway through the season because of injuries and finished second on the team with 57 tackles in just 10 games. 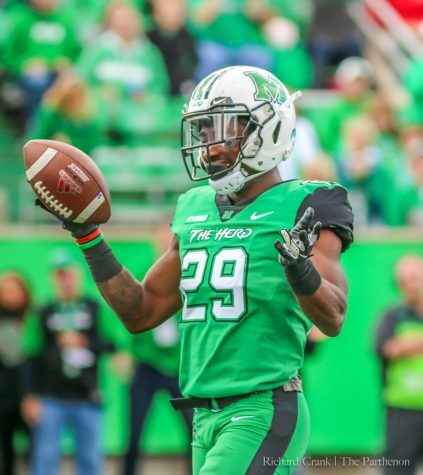 Young made his presence felt early against Charlotte Saturday, sacking 49er quarterback Hasaan Klugh on the second play of the game. 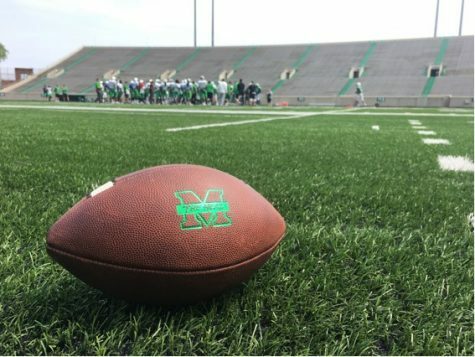 The Albany, Georgia native’s start against Charlotte marked the first time he stepped on the field for a game since Dec. 26, 2015, when Miami (Fla.) played in the Sun Bowl in El Paso, Texas against Washington State. While he was serving his suspension, Young was worked into practice with the second-string defense and got a lot of attention from strength and conditioning coach Luke Day. 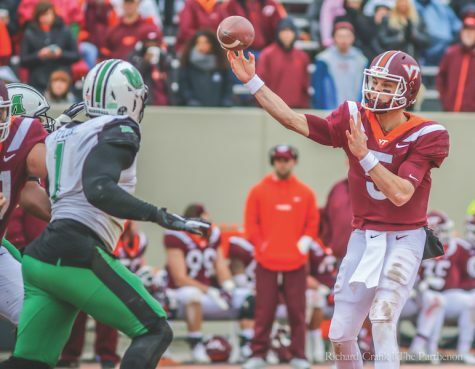 Although Young did not play for more than a year, he was able to use his transfer year in 2016 and spring and fall camps to get familiar with his teammates on the defensive unit. 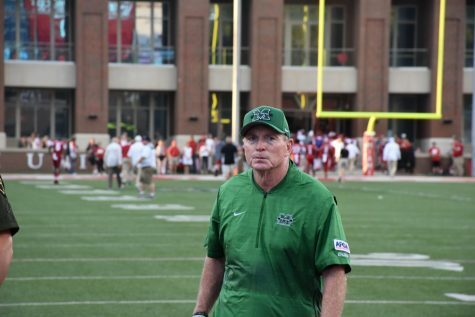 Most of Young’s surroundings were new when he arrived on campus, but he had a familiar face in Huntington when he arrived. His former roommate at Miami (Fla.) is also a member of the Herd football team, wide receiver Tyre Brady. 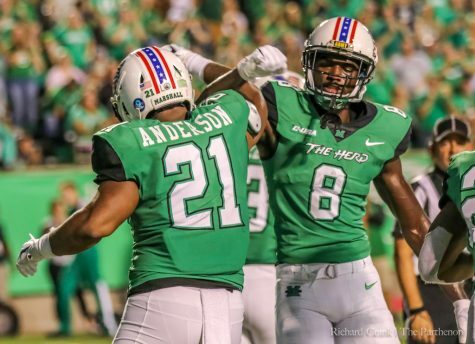 As excited as Young was to get back on the field, Brady may have been just as excited when Young made his first sack in a Herd uniform. The two former Hurricanes said they are always pulling for the other. 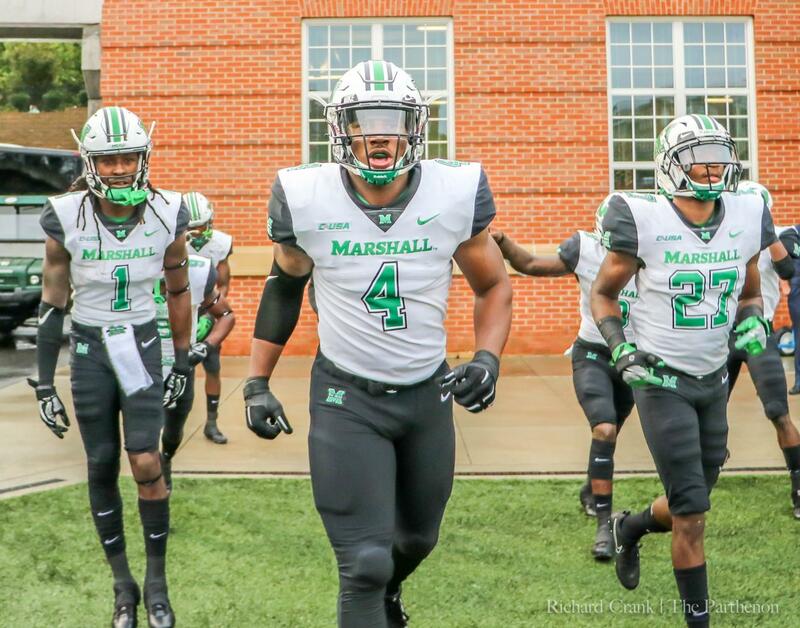 Young finished the game with four tackles, 0.5 sacks and tackles for loss, a pass breakup and two quarterback hurries in his Marshall debut. 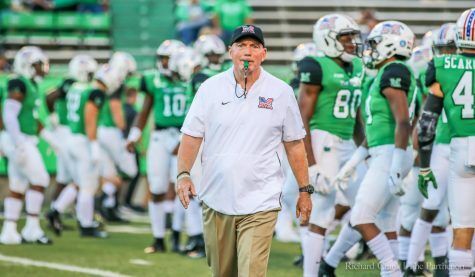 Young and the Herd are back in Conference USA action Saturday against the Old Dominion Monarchs for Marshall’s homecoming with kickoff set for 2:30 p.m. ET.